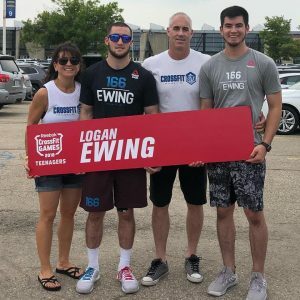 Congratulations to Logan for his strong representation of CrossFit 970 at the 2018 CrossFit Games this past weekend! We are all very proud of how well Logan was able to compete at the highest level in our sport and his accomplishment of being one of the best in the world! This workout will start with a 400 meter run and you will perform descending reps on the wall balls after each 400. The goal is to do as many wall balls as you can without breaking or breaking into as few sets as possible. You will continue to run 400 meters after each round of wall balls. Push the pace on the runs, especially towards the end when those wall ball reps are less. After your last 10 wall balls, end the workout with 25 burpees…just because we love you.